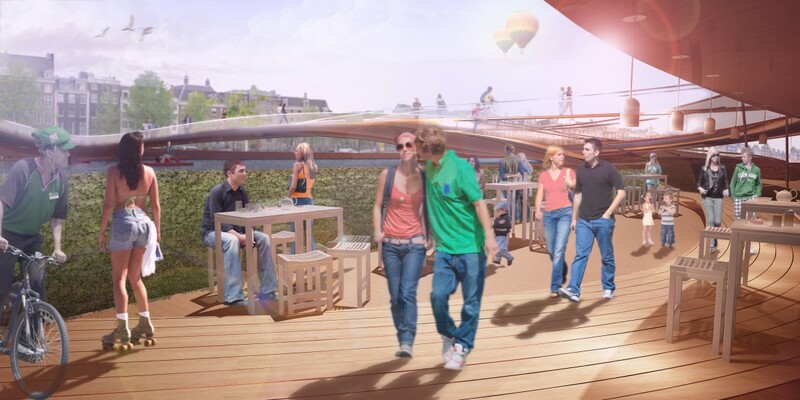 The Rin-Q serves primarily as urban space and public realm, then as a bridge connecting the 2 sides of the Amstel River. 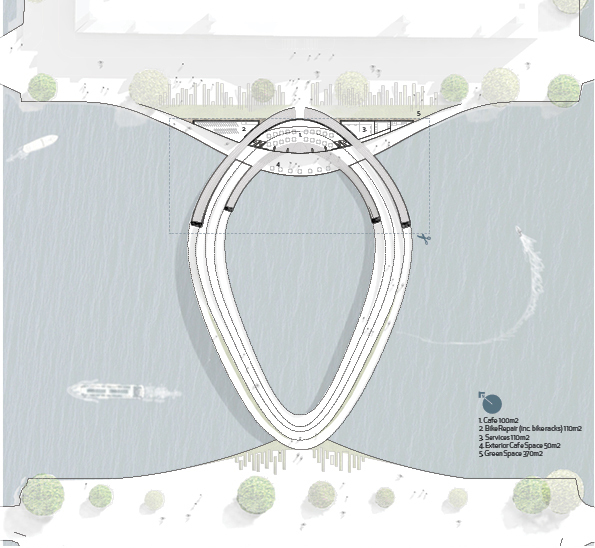 It creates a social and public space on the banks of the river immediately outside the Hermitage Museum as well as extending this onto the river itself without compromising on views towards the entrance. Our approach challenges the typical bridge. 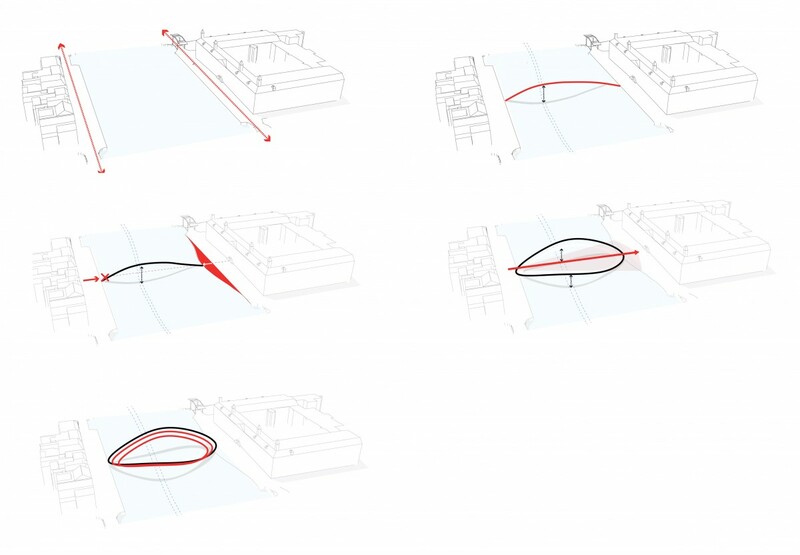 Here the bridge takes on a completely new form whereby rather taking the most direct route it attempts to create space by looping across the river. 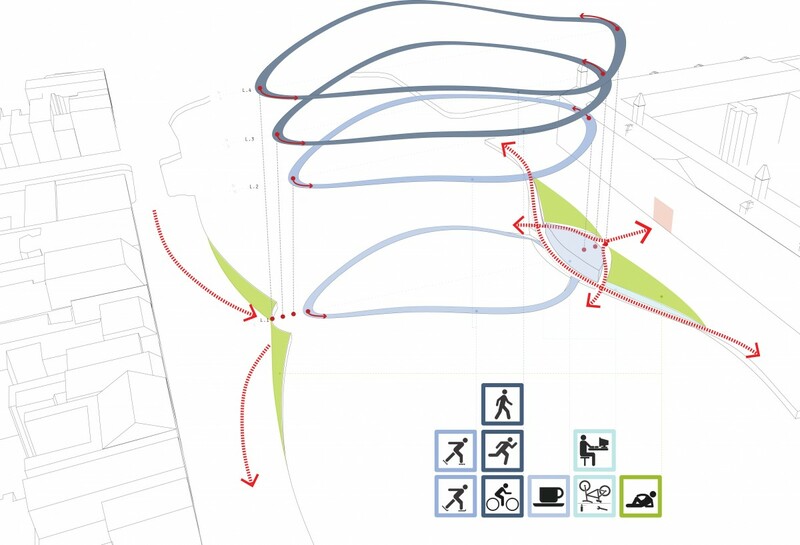 This loop is designed to extend the limited public realm outside the museum onto the river itself, it also preserves and highlights the museums entrance from across the river. 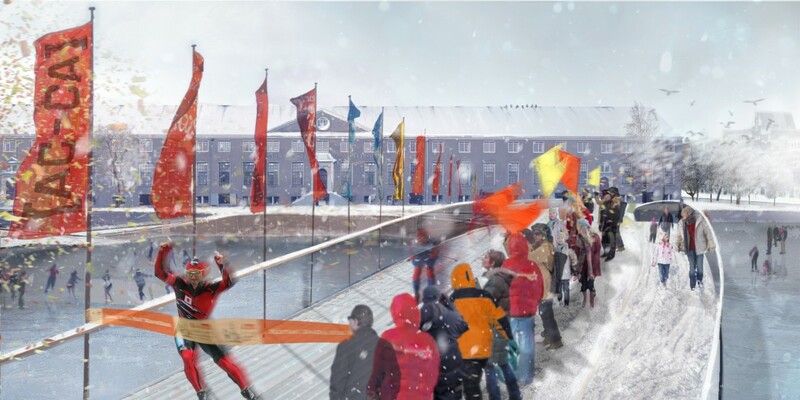 We have maximized the potential of the proposal by adding strips of function to the bridge, the strips allow the bridge to cater for more people and improve the lack of urban public realm within the region. The formal language of the bridge draws inspiration from Holland’s rich history and culture in speed skating and cycling. 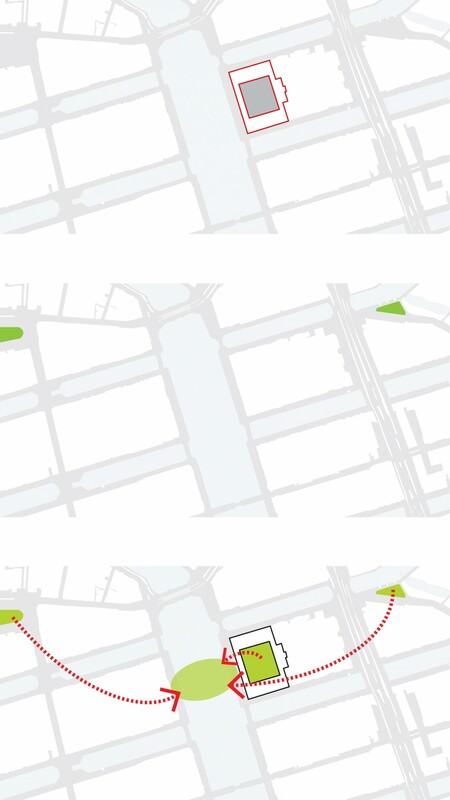 The functions and their association to the culture of the city allow the Rin-Q to become a destination and icon within the urban fabric of the city.